“Honey I’ve been asked to go fishing in China with my boss for a week. This is a good opportunity for me to get the promotion. 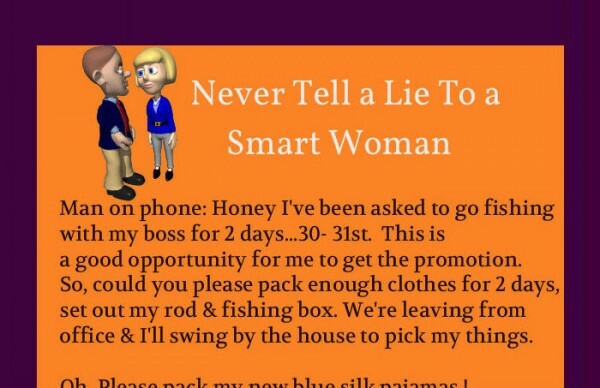 So could you please pack enough clothes for a week, set out my rod & fishing box. We’re leaving from office & I’ll swing by the house to pick my things. He said “Yes, Lots of Salmon, Blue gill & a few Swordfish.